Summer may be drawing to a close, but we still have one more exciting event: the total solar eclipse on August 21, 2017! According to NASA, this eclipse will be the first total solar eclipse in the contiguous United States since 1979, and we won’t see another eclipse like this one from coast to coast until 2045. 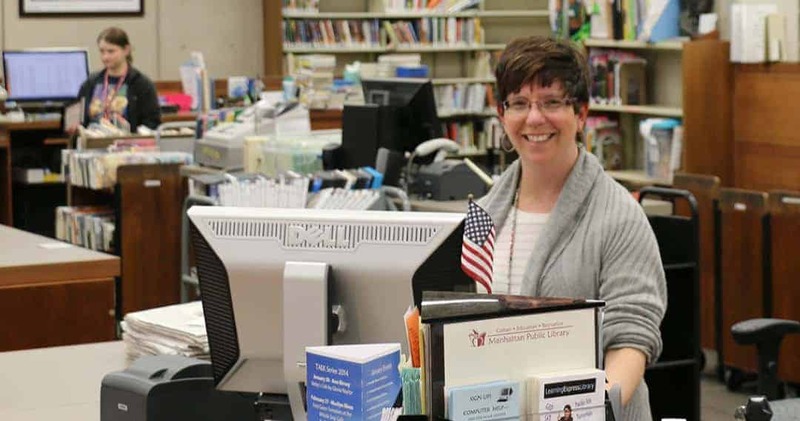 Across the country, libraries are gearing up for this exciting event. The library will host a few special events before the eclipse, and we have eclipse viewing glasses available for free! For the junior astronomers in your household, several books in our collection will build excitement for the eclipse. We have a wide range of non-fiction books about our solar system and space, but we also have fiction titles that will appeal to young stargazers. 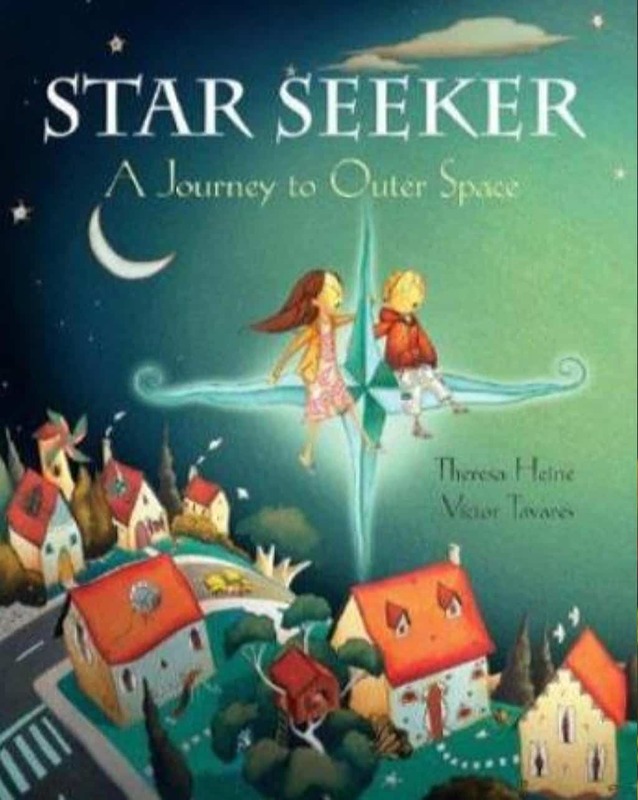 Follow an adventurous young girl and boy through the cosmos to explore planets, constellations, and other celestial bodies in Theresa Heine’s Star Seeker: A Journey to Outer Space. Hunt with Orion, lasso Saturn’s rings (while wearing cowboy boots, naturally), and take a ride on Ursa Major, the Great Bear. Our young narrators experience different adventures throughout the galaxy via flying armchair, paper airplane, and North Star. Heine’s lively, bouncy rhymes introduce these concepts to younger readers. Brazilian artist Victor Tavares’ colorful, rich illustrations pair familiar sights, like ice skating and a day at the beach, with the more unfamiliar, Uranus and Jupiter. The book includes ample information to share with children about space, the solar system, and planets and other bodies. Share this book as a sweet read-aloud with little ones, or as a space exploration with plenty of non-fiction content with older readers. Optimistic and idiosyncratic Alex Petroski has a lot on his plate: an out-of-touch mother, a far-off brother, a (supposedly) dead father, and a mission to make it to the Southwest High Altitude Rocket Festival so he can launch his iPod into space. Why is an 11-year-old trying to send his iPod into space? So that if aliens find it, they can use his narration to figure out things work on Earth. In Jack Cheng’s See You in the Cosmos, Alex’s eye-opening adventure takes him from Colorado to New Mexico, Las Vegas, and finally Los Angeles, making unusual friends along the way. This 2017 release deals with some pretty serious themes with sensitivity and soul. It’s a “riveting, inspiring, and sometimes hilarious” story, according to Kirkus, as Alex learns about family, friendship, and resilience. If you had to write a list of ten things worth seeing on Earth to save the planet from destruction, what would you choose? At the opening of Frank Cottrell Boyce’s Sputnik’s Guide to Life on Earth, Prez Mellows is still adjusting to life in foster care after he’s removed from the home of his aging grandfather. Space-traveling alien Sputnik arrives in Prez’s life, enlisting his help cataloging Earth’s wonders for an interplanetary guidebook. Sputnik looks like a dog to everyone except Prez, and it’s up to the two of them to save Earth from destruction by shrinking. Science fiction lovers will enjoy this funny and touching story Kirkus describes as “a raucous adventure with a heart of gold.” Cottrell Boyce delivers a humorous examination of home and family in this must-have for middle school readers. Sometimes a single event can bring together even the most reluctant of strangers. This is the case for the trio of protagonists in Wendy Mass’ Every Soul a Star. Nature-loving Ally, glamorous Bree, and reclusive Jack experience a total solar eclipse together and find their lives transformed. The teens are gathered at Ally’s family’s campground, which will soon be sold to Bree’s family. The two girls must come to terms with how radically their lives are about to change, while Jack must save his failing science grade and learn to make friends. Mass brings these characters to life and avoids allowing her characters to fall into boring stereotypes. Each teen discovers “unexpected powers of adaptability and new talents,” according to Publishers Weekly. Mass weaves astronomy facts into this self-reflective novel, building drama and anticipation for the big event. As you prepare for our own eclipse in August, make sure you stop by the library to pick up some free glasses to safely view the eclipse, and come to our events! We will be at the Flint Hills Discovery Center for Community Day on Sunday, August 6, with activities and glasses, and we will have a viewing party the day of the eclipse at noon. I’ve often thought that Mark Twain, aka Samuel Clemens, would have made a great friend. He was always game for adventure, always the life of the party, always willing to tell it to you straight (or crooked, as the case may be). I don’t know if I would have had the courage to speak to him, given the sharpness of his wit, but reading his work makes me wish I had been given the chance. This week, I’m going to use a few Mark Twain quotes to guide us through book recommendations about friendship. If you haven’t read The Adventures of Tom Sawyer or Huckleberry Finn, Twain’s classic works featuring close friends, I suggest you start there. Otherwise, pull up a hammock and enjoy the following excellent titles. 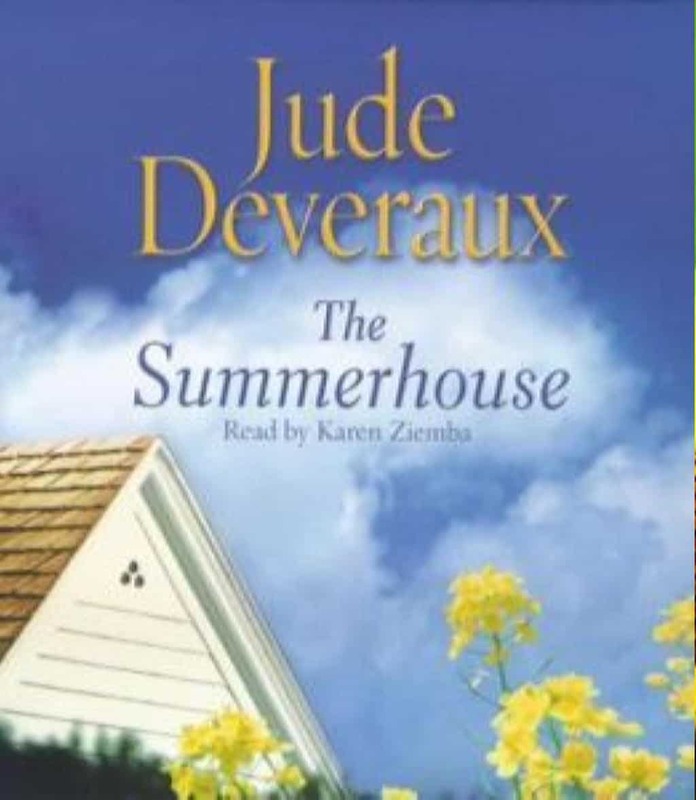 The Summerhouse by Jude Deveraux was actually recommended to me by a close friend. This book features the chance meeting of three young women on their birthdays in New York City. Their lives spiral off in different directions and they lose touch, but when they are inspired to reunite and rekindle the friendship, magic happens, literally. The best part of The Summerhouse is the incredible satisfaction it will bring you. The three women get the chance to travel back in time to the point at which they feel their lives took a wrong turn. It’s a fantasy most people have entertained at least once in their lives. Getting the chance to explore it vicariously was incredibly rewarding for me. Thankfully, the story is fun but not frivolous. It has tragedy, loss, redemption, and power, and I think you’ll enjoy it. The Twain quote, “The trouble is not in dying for a friend, but in finding a friend worth dying for,” made me think of Harry Potter. Harry’s friends rally around him, finding in his legend, his character, and his courage a reason to fight against evil. You don’t have to be a kid to enjoy these books, and if you’ve only watched the movies you especially owe it to yourself to read them. 2017 actually marks the 20th anniversary of the first book, Harry Potter and the Sorcerer’s Stone, and that provides yet another great excuse to read it. If you’ve been waiting, thumbing your nose at the series, or just haven’t thought about it in a while, I encourage you to pick it up. Next, Twain’s quote “Love is when two people know everything about each other and are still friends,” sums up the friendship of Don Quixote and Sancho Panza. Quixote is an elderly knight who had “read himself into madness” by studying too much about chivalry and the knights of old. Sancho is his trusty squire who is chubby, vulgar, and provides the classic earthy balance to Quixote’s idealism. Quixote and Sancho set out together for misadventures and hilarity, but beware, the language of the text can be a bit daunting. Miguel Cervantes’ classic tome is not for the faint of heart. You will need to devote some serious “hammock time” to reading Don Quixote, but you will be rewarded for your efforts. Many of our archetypes about friendship come from the pages of this classic novel and the vocabulary will positively affect the formality of your speech, ie. your Facebook posts will probably get a lot more impressive. Finally, if you’re interested in non-fiction, An Invisible Thread by Laura Schroff is an uplifting story about two unlikely friends who change each other’s lives. A powerful New York executive and a homeless child meet by chance and develop a kinship which has lasted more than thirty years. This book will restore your faith in simple kindness, teach you to look differently at the people you pass every day, and take you to some deeper places in your heart. Mark Twain gave out a lot of advice during his lifetime, some of which might get a person arrested. However, his proclamation that “good friends, good books, and a sleepy conscience” makes an ideal life seems like sound advice to follow. 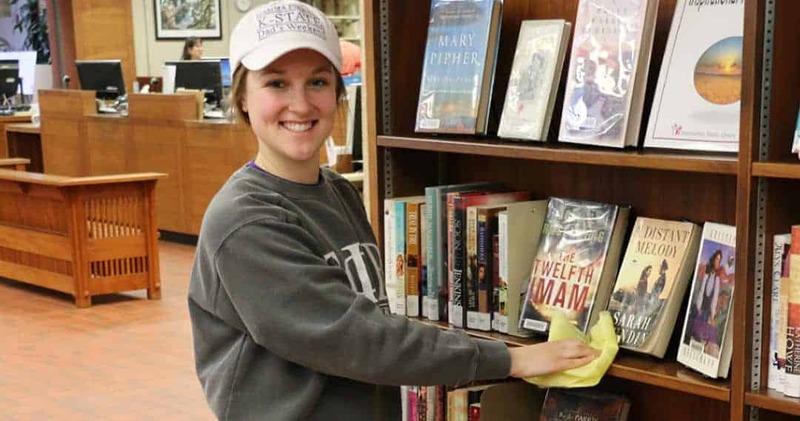 If you agree, stop by the library to check out a few books for the summer, or visit the library’s digital offerings on hoopla or Sunflower eLibrary at www.MHKLibrary.org. Consider the great American West: a place with a rugged backdrop and unbelievably colorful characters who experienced stunning hardships as well as unexpected good fortune. 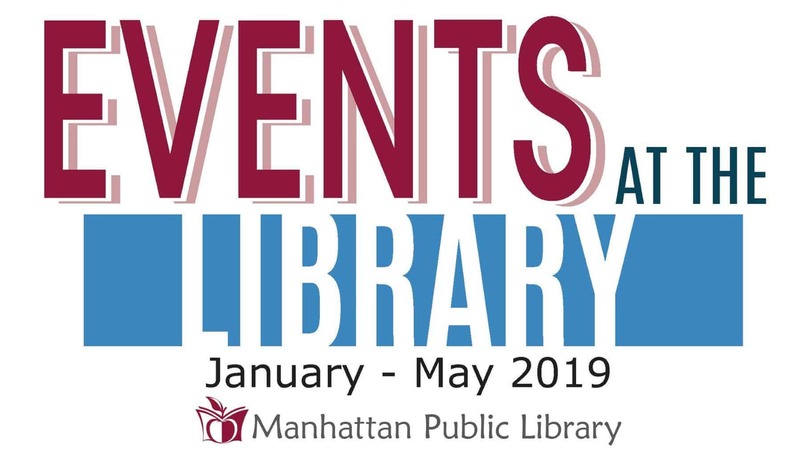 Manhattan Public Library’s adult collections include many excellent books, both fiction and nonfiction, that explore those early days in the wilderness. Let’s take a closer look at some appealing fictional titles. In The Bones of Paradise, Jonis Agee takes us back to the Nebraska Sand Hills in the early 1900s. Rancher J.B. Bennett is estranged from his wife, Dulcinea, and on difficult terms with his two teenage sons when he is discovered in his pasture, shot in the chest and lying next to a young Sioux woman. His death forces Dulcinea to face her family’s problems, including the father-in-law who drove her and her husband apart. She is joined in her attempt to solve the mystery of her husband’s death by Rose, long-time friend to Dulcinea and sister to the Sioux murder victim. Rose’s persistent grief from the massacre at Wounded Knee, the Bennett’s rocky marriage, and the enigmatic circumstances of the deaths bring tension to the friendship between the two women. Agee’s novel evokes the rugged beauty of the landscape and the harsh life of those that settled there. El Paso by Forrest Gump author Winston Groom is an epic tale of railroad and ranching tycoon, John Shaughnessy, also called the colonel. The colonel has been yachting while his adopted son Arthur manages his struggling business interests, but when Pancho Villa raids his ranch, stealing cattle and murdering the ranch manager, he rushes in to investigate. He arrives to chaos and the situation gets worse when Villa’s men return and kidnap his grandchildren. When President Wilson ignores Shaughnessy’s call for help, father and son head off into the desert and mountains of northern Mexico to retrieve the children and get revenge, joining forces with Johnny Ollas, a matador trying to rescue his wife who has also been kidnapped by Villa’s men. El Paso brings remarkable personalities to life and records a significant shift in the history of the West. If you prefer your fiction in smaller bites, Dog Run Moon by Callan Wink is a collection of short stories set in Wyoming and Montana. In the title story, we jump right into the action with construction worker Sid, running naked through the woods to protect a dog that he’s stolen from a neglectful owner. Wink goes back and forth between Sid’s adventure of running through the night and the events that led him to this challenging and awkward moment. Obviously this tale has its share of humor, but there are also ponderings about life and what could bring someone to make such a choice. Exploring the beauty of the West and the human spirit, Dog Run Moon is a quick read with a lot of heart. 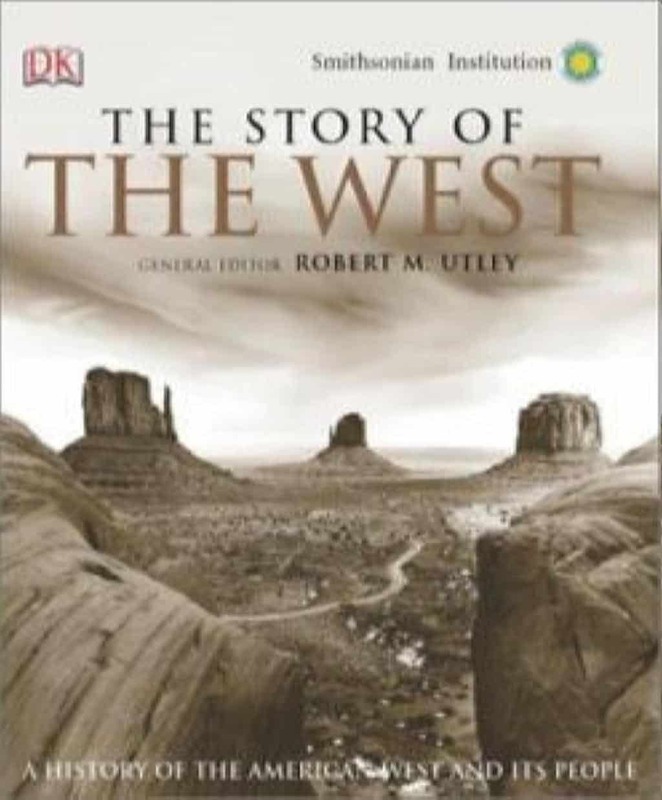 For those who prefer nonfiction tales of the great West, one need look no further than books written by Robert M. Utley. Utley, the long-time chief historian of the National Park Service, wrote a number of critically acclaimed books about characters and events of the West. The Story of the West, edited by Utley and published by the Smithsonian Institution, is a glorious compilation of history, photographs, and artwork concerning events such as the westward migration and the building of the railroad. This is an exceptionally fine volume. On more specific concerns, Utley penned an excellent biography of Sitting Bull entitled The Lance and the Shield. Born of the Hunkpapa Lakota Sioux tribe, Sitting Bull lived in tumultuous times when various tribes fought for control of the buffalo hunting grounds. He was also a major figure at the Battle of the Little Bighorn in 1876, and he later toured the world with Buffalo Bill Cody’s Wild West Show. This carefully researched tribute, which won the Western History Association’s 1993 Caughey Prize, is well worth your reading time. For those interested in the lives of trappers and traders who lived in the West during the 19th century, one can do no better than reading Utley’s A Life Wild and Perilous. Larger-than-life stories of Jim Bridger, Jedediah Smith, and Kit Carson immerse the reader in exquisite natural beauty and unimaginable danger in an unexplored territory. There are even a couple pages devoted to the deplorable misfortunes of Hugh Glass, the trapper who encountered a grizzly sow with cubs. Other books by the renowned Utley include volumes about George Armstrong Custer, the American military in the West, forts, and villains of the West. 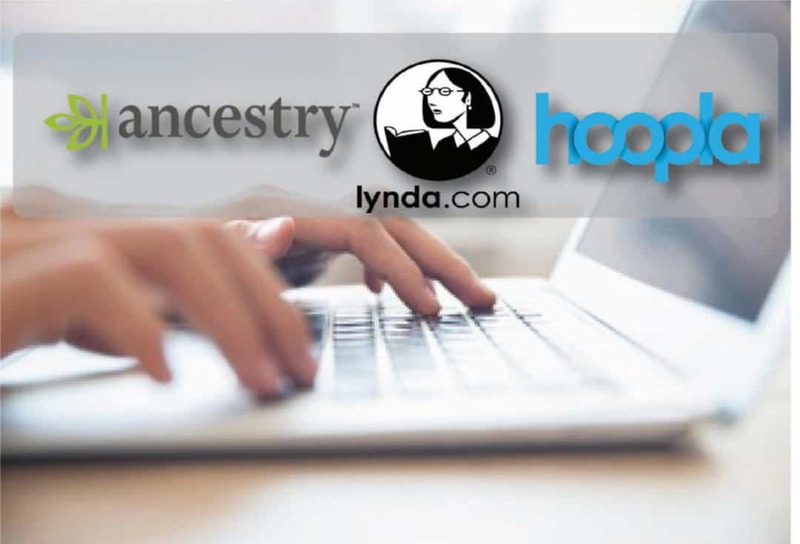 All have the writer’s meticulous research and lively writing style. Owls have long fascinated me. I often hear them, particularly in the early evening, as birds of a pair will call back and forth to each other. In fact, one summer several years ago, I used to see the same pair fly overhead just as darkness approached each evening. I learned later that these are barred owls, which can have a wingspan as long as 44 inches and a body length of up to 22 inches. Since that time, I’ve heard those repeated calls in my neighborhood, especially during winter months. And I’m occasionally lucky enough to catch a glimpse of them through the trees. For those as interested as I am, the library has some impressive books about owls, and those books are not just for adults. The Children’s Department, for example, has some fantastic selections, filled with photographs that will delight young people. Birds of Prey by Claire Llewellyn, which is part of the excellent Kingfisher Readers series, offers exquisite in-flight photographs of hawks, eagles, and owls. The simple text describes feeding habits and locales of the many birds of prey. This is an excellent introduction to the many species. Hoot, Owl! by Shelby Alinsky is a nicely done volume that is part of the National Geographic series for kids. 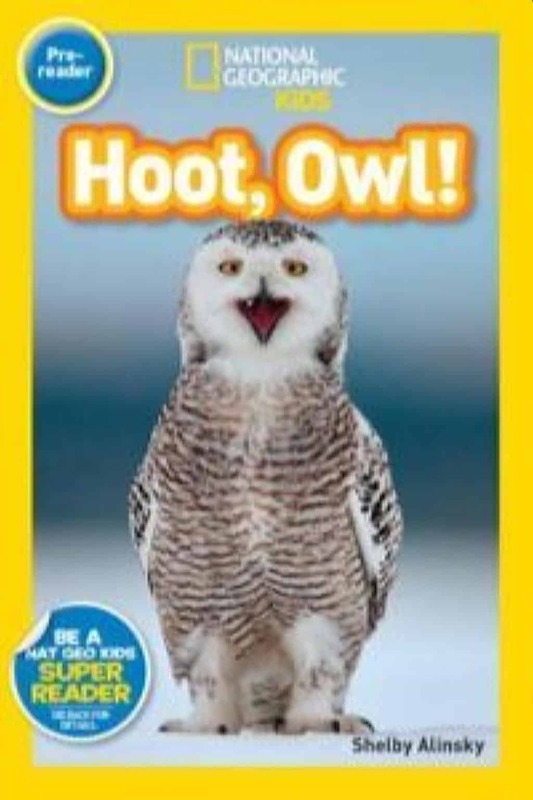 This book is a great little introduction to snowy owls that not only provides dramatic close-ups of the owls, but also lists the vocabulary words found inside the book. Baby Owl by Aubrey Lang is about the hatching and growth of a great horned owlet. Young readers follow the feeding of the owlet by parent birds, and learn how the owl learns to fly and to hunt for itself. The text concludes with a list of little known facts about owls. These books can all be found in Animals Neighborhood of the library’s children’s room. The adult collection also offers a number of superb books about owls. The Owl Who Liked Sitting on Caesar by Martin Windrow is just such a book. Windrow is a British writer who specialized in books about the military. While recuperating from a skydiving accident some years ago, he told his falcon-expert brother he’d like a pet. His brother gave him a little owl who turned out to be rather difficult. Later, Windrow received a female owl, a bird he named Mumble, who became an amiable companion for several years. So, Windrow’s book is a tale of the two companions who develop a closeness no one expected. Mumble even offered to share her diet of young chicks with her buddy. Yet another writer, Tony Angell, shared his tale of owls in a book entitled The House of Owls. Angell’s book details a period of several years during which he and his family closely observed pairs of western screech owls who nested near his country home. During that time, Angell became something of an expert on the lives and behavior of the owls, he and kept a journal of what he learned. His book also contains remarkable pencil illustrations of the behaviors he observed. This is a truly inspiring book. While it does have some nice photographs of owls, R.D. Lawrence’s Owls: The Silent Fliers is devoted more to species found in North America. Descriptive essays are devoted to each of 19 species, and each essay also has a table of measurements as well as a range map. Want to know what a specific variety favors in a habitat or what is desired prey for feeding? This book carefully describes each in detail, and also has an afterword that lists parasites that threaten owls. There is even an anatomical chart which labels the parts of the owl’s body. One of the more attractive of the owl books is a recent arrival to the adult collections. The Enigma of the Owl by Mike Unwin and David Tipling is described as “an illustrated natural history.” This is truly a beautiful book, one to be treasure by all bird lovers. It has over 200 unbelievable photographs that will dazzle any reader’s eye. It also offers an amazing array of behaviors related to the particular geography in which each of the species lives. This has everything you might want to learn and will make those evening owl calls or sightings even more mesmerizing.